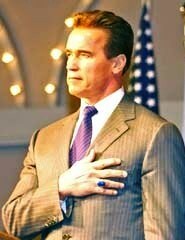 Arnold Alois Schwarzenegger (born July 30, 1947, in Thal, Austria) is an Austrian-American bodybuilder and actor. He was the governor of the American state of California from 2003-2011. He currently lives in Los Angeles, California. After serving in the army, Schwarzenegger moved to Munich, where he often slept in a gym because he did not have anywhere else to live. Schwarzenegger moved to the United States in 1968 and eventually became an actor. He has been in several big budget Hollywood movies including The Terminator series. 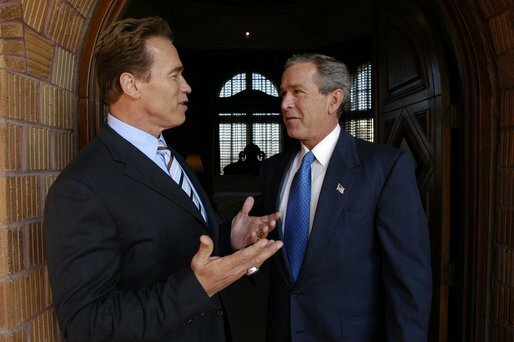 He stopped acting to run for governor of California in 2003. 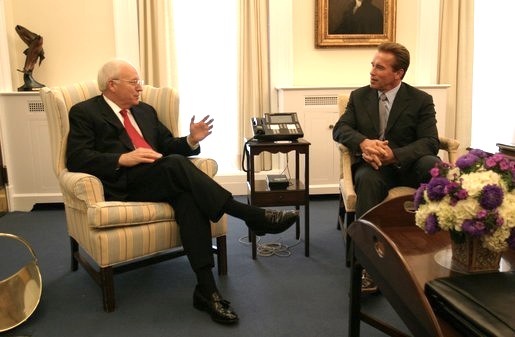 In 2003, Governor Gray Davis was removed as governor and Schwarzenegger was elected. His term ended in early January 2011, and he was replaced by Jerry Brown. Before becoming an actor, Schwarzenegger was a bodybuilder and had won both the Mr. Olympia and Mr. Universe titles over seven consecutive times. Schwarzenegger has also set up his own official competition, Arnold Classic. In 1971, Schwarzenegger's younger maternal half-brother Meinhard died in a car accident due to driving while drunk. In 1986, Schwarzenegger married Maria Shriver, but they separated in 2011. They have two daughters, Katherine and Christina, and two sons, Patrick and Christopher. 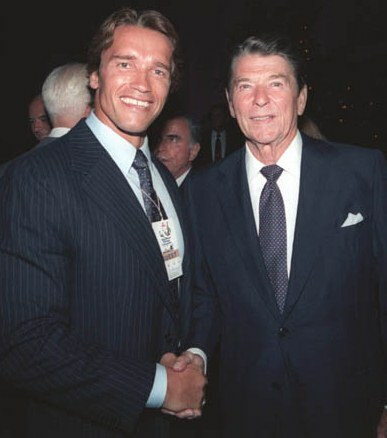 Schwarzenegger also has a son with another woman. In 2013, Schwarzenegger returned to acting with a role in the movie Escape Plan. On March 28, 2015, he was inducted into the WWE Hall of Fame by Triple H.
Arnold Schwarzenegger Facts for Kids. Kiddle Encyclopedia.